Everyone passed her by, most refusing to make eye contact. “Sir, have you got a cigarette,” she asked one man as he shook his head and continued. “Ma’am, do you have a smoke,” she asked a woman who refused to even acknowledge someone spoke to her. Never asking for money, she only wanted to continue her love affair with nicotine. I asked her what the dried blood on her forehead was from. “I tripped and fell, busted my head wide open. No one helped me, but the paramedics,” as she went into detail she talked about the ten stitches under her cap and how she spent 15 hours in the hospital. Why do so many turn away from unpleasant, sad or dirty? Why do some refuse to take it all in as an effort to learn what others go through? Why does a mother or father not stop and talk when being spoken to as a way to teach a child courtesy should be offered to everyone until proven wrong. Then, perhaps courtesy should be offered again and even again. “To change ourselves effectively, we first had to change our perceptions.” ― Stephen R. Covey (1932-2012). Dr. 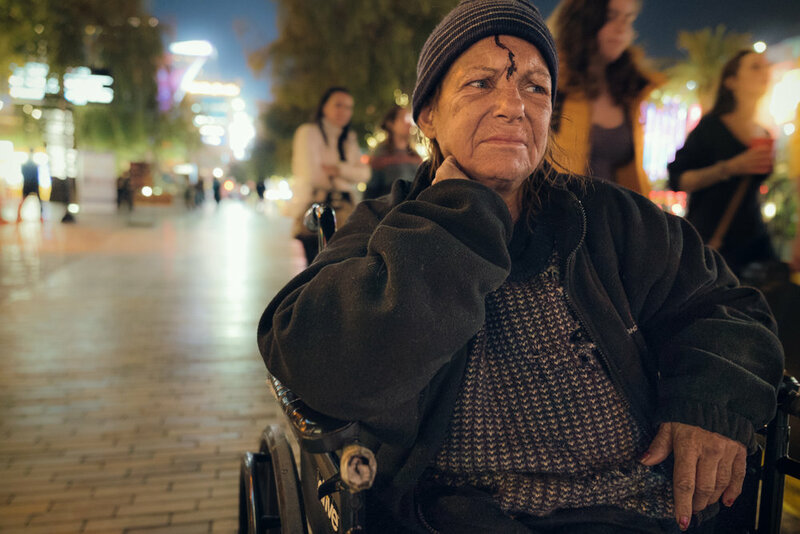 Covey died 5.5 hours away from where this woman sat quietly on the streets of Las Vegas. It was a bicycle accident that took the life of Dr. Covey at the age of 80 in Provo, Utah.